Malware and Spyware Scanner | How to Scan Computer Malware? Scanning the computer for malware and spyware prevents computer damage and data loss. It is the process of detecting and removing threats and viruses from the computer. A malware infected computer will display the malware symptoms such as programs acting up, relentless pop ups, and reduced computer speed. A computer infected with malware needs a malware and spyware scanner because malware infections may lead to corrupted operating system or stolen identity. Malware corrupts the critical data of the operating system. While spyware that falls under the term malware steals SMS, call logs, and browsing history. Malware infection may go unnoticeable because malware is designed to work silently in the background. So downloading malware and spyware scanner is important to detect malware early. In the malware scanning process the malware and spyware scanner purges the hard drive folders including the TEMP folder. Malware pretends as legitimate exe file in the TEMP folder to hide in plain sight. However, a malware and spyware scanner deep scans any suspicious files. It combines different techniques to detect threats and viruses. Malware is usually identified by its signature. However, some types of malware such as Polymorphic malware mutate their signatures. By providing a valid signature, a Polymorphic malware evades detection. That’s why a malware and spyware scanner uses Signature-Based Detection and Heuristics. With Signature-Based Detection, the malware and spyware scanner collects the file signature and sends it to a cloud-based verdict platform; a huge collection of malware signatures. It is constantly updated since thousands of malware are released everyday. The cloud-based system, compares the signature sent by the malware and spyware scanner to the other signatures in the list. If the signature matches any of the signatures, the cloud-based platform returns with a verdict that the file is a threat. The malware and spyware scanner then deletes it from the computer. With Heuristics, malware is identified by its behavioral pattern. If it bypasses Signature-Based Detection, Heuristics observes it constantly. If it displays a malicious behavior, it is sandboxed. Inside the the sandbox, if the file continues to show harmful behaviors, it is flagged as a threat and deleted from the computer. To perform malware scanning, first choose a reputable malware and spyware scanner. Choosing the right security software is important. 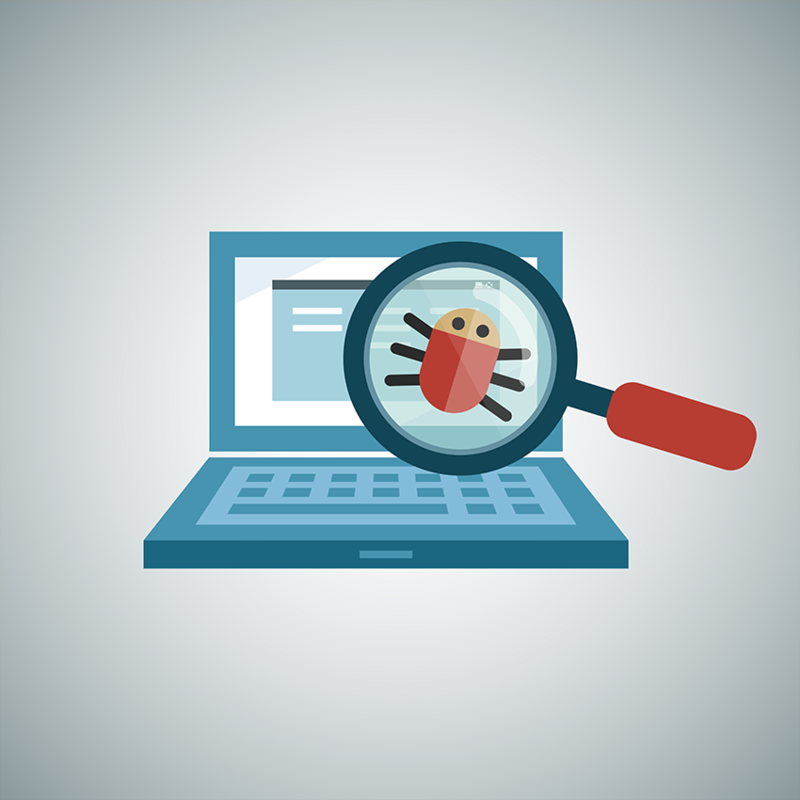 An inefficient malware and spyware scanner may fail to detect sophisticated types of malware. For a personal computer, download Comodo anti malware for free to scan the computer. Just install the anti malware and you can follow the prompts on screen to finish the installation. The anti malware will deep scan the computer and display the threats detected. For a business network with many endpoint devices, advanced endpoint protection is recommended. The endpoint devices may serve as a point of entry malware and spyware. If one of the endpoint devices gets infected, the entire network will be at risk of a malware infection. Download Comodo Advanced Endpoint Protection now to protect the network and the endpoint devices. Comodo Advanced Endpoint Protection has multi-layered security. That includes the Auto-Containment, HIPS or Host Intrusion Prevention System, Comodo Firewall, and VirusScope. The Auto-Containment is a sandbox-based technology built upon Default Deny security posture. It auto-contains any unknown file that enters the computer. Using an advanced machine learning technology (VirusSCope) designed to detect behavioral patterns, any malicious file is quickly identified. With HIPS monitoring the computer memory and registry, fileless malware attacks are rendered useless. HIPS also protects the keyboard and hard drive against direct access. The firewall filters network traffic and data transmission, preventing malware propagation within the network. Download Comodo Advanced Endpoint Protection for complete malware protection for your network and endpoint devices.